For over 85 years, Bernstein & Bernstein has protected the rights of victims who have suffered preventable injuries due to other people's negligence as well as those injured in the workplace. We focus all efforts and resources to secure disability and Social Security payments. This has greatly benefited our clients and established a well-deserved reputation as a firm that provides quality, aggressive and ethical legal representation. We have extensive experience aggressively litigating tough cases involving personal injury, auto accidents, slip/trip and fall, Social Security benefits, workers’ compensation, medical malpractice, unsafe premises and defective products. The experience each professional on our team brings to the practice combines with our unyielding commitment to hard work and superior legal representation. This translates into compensation for our clients. Have you been injured? YOU NEED US. It's that simple. You need Michigan's premier personal injury law firm that is familiar with your local area and the laws of Michigan. You need known faces in our city's courtrooms. The attorneys at the Law Offices of Bernstein & Bernstein all have a proven track record of success. We can aggressively pursue all the compensation you deserve. And with the Law Offices of Bernstein & Bernstein, you're ensuring just that. At Bernstein & Bernstein, we capitalize on home field advantage–a testament to our loyalty to the local community. As both lawyers and residents, we all take a great deal of pride in Southeastern Michigan. We want to see our local community thrive and remain protected. We're your civil servants. 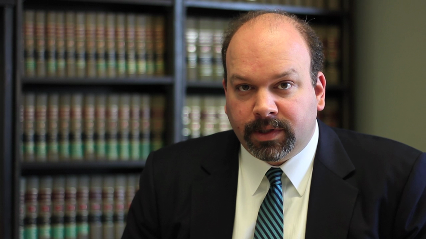 We're you're local law firm who will fight for you. Bernstein & Bernstein is deeply committed to every case. We will not charge you any fees unless we settle or win your case. Also, our lawyers are available for home and hospital visits. Our firm has branches in the Michigan cities of Southfield, Detroit, Taylor, Flint, Dearborn, and Warren. If you are a victim of personal injury, don't wait any longer, schedule a free initial consultation today. When our lawyers are on your case, you can count on our entire team to hold your hand every step of the way. We pledge to treat you with personal care and compassion. You can count on us to provide the highest level of professionalism. In fact, we have been successfully litigating personal injury cases for more than 85 years. 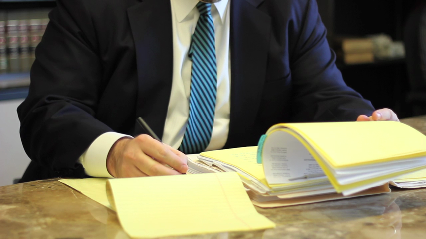 Our attorneys work tirelessly on behalf of our clients to ensure that their rights are protected and that they ultimately receive the compensation they deserve. At Bernstein & Bernstein, we believe in entering into a long term relationship with our clients. This means that we not only help seek the best quality medical care to meet immediate needs, but we also strive to obtain compensation to provide for your immediate and future needs. If you or a loved one has been involved in an accident, suffering from the effects of a disability or hurt through the negligence of others, we are here to assist you in gaining compensation you may be entitled to under the law. Just contact a professional from our firm today for a free consultation.